We are very pleased to add these key additions to the Churchill staff as we continue to build a very competent group of professionals to provide better service to our client base. Churchill Stateside Group, LLC (CSG), a real estate and renewable energy financial services company, is pleased to announce Churchill Stateside Group, LLC (CSG), a real estate and renewable energy finance company, is pleased to announce the hiring of three new staff to the company. Michael E. Spain – Vice President, East Regional Officer: Michael, based in Clearwater, FL, has joined the firm as a Regional Production Officer and is responsible for originating debt and equity solutions for new construction, rehabilitation, acquisition and refinancing of both affordable housing and market rate properties within the Southeast. Prior to joining CSG, Michael was an attorney where he primarily focused on defending maritime and transportation claims. He also practiced in the areas of insurance defense, insurance coverage, property and casualty, workers compensation and wrongful death and personal injury defense. 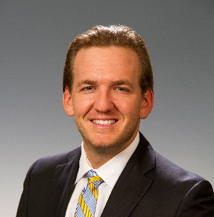 Michael is a graduate of Valdosta State University and obtained his Juris Doctor from Florida Coastal School of Law. Michael was admitted to the Florid State Bar in 2014. 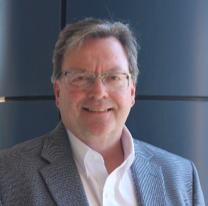 Jerry Schmahl, Vice President, Midwest Regional Officer: Jerry, based in Chicago, IL, has joined CSG as a Regional Production Officer and responsible for CSG’s debt and equity product origination of HUD, USDA-RD, Construction and LIHTC/Historic Equity products in the Midwest. Jerry has three decades of experience in the economic and community development field that includes the origination, underwriting, negotiating and closing of investments in developments supported by Historic, Housing, and New Market Tax Credits. Prior to joining Churchill Stateside Group, Jerry was a member of an acquisitions team where he helped developers and investors fund the renovation of properties with Historic credits. His experience also includes nearly a decade of service as Program Manager of Affordable Housing and Community Development Investment for a large pension fund. Jerry has spoken on numerous panels focusing the New Markets, Historic, and Low-Income Housing tax credit as well as proactive social investment oriented panels. Jerry holds a Bachelor of Arts Degree in Economics from Iowa State University. Charles Kane -- Vice President, Asset Management: Chuck, based in Clearwater is responsible for monitoring all of the operational and compliance aspects of the portfolio. 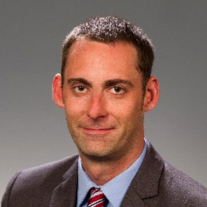 Chuck has over 10 years of asset management experience with a focus on managing of large portfolios as well as audit and distribution related analyses. Previously, Chuck worked at a large publicly held tax credit syndicator where he was responsible for portfolio management and led the creation of a tracking and collection system for project distributions and fees for over 1,000 partnerships. Chuck holds a Bachelor’s degree in Business Administration, with emphasis in Management and a minor in Organizational Communication from Bellevue University. Churchill Stateside Group and its wholly owned affiliates (CSG) serve the affordable housing and renewable energy industries. CSG sponsors tax credit equity investment funds for institutional investors and provides a variety of construction and permanent financing solutions. With over $1 Billion under asset management, CSG has long-standing and successful investment relationships with numerous corporate investors and pension funds. The company's investor and developer clients benefit from our experienced staff, prominent and proactive senior leadership, and attractive debt and equity platforms. The company, through its subsidiary Churchill Mortgage Investment LLC, is an approved USDA Rural Development and HUD/FHA MAP and LEAN lender and Ginnie Mae Issuer.